REGINA: Municipalities are the latest group to face steep consequences from the provincial government’s austerity budget. 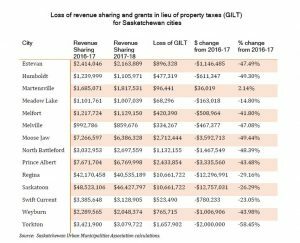 Revenue sharing grants were cut by 5.1 per cent overall, but municipalities are also losing $38 million in grants in lieu of property taxes effective April 1, 2017. The grants in lieu of property taxes are paid by Crown corporations SaskPower and SaskEnergy. SaskPower and SaskEnergy will continue to add a surcharge on residents’ utility bills even though the Crown corporations will no longer pay grants in lieu of taxes. 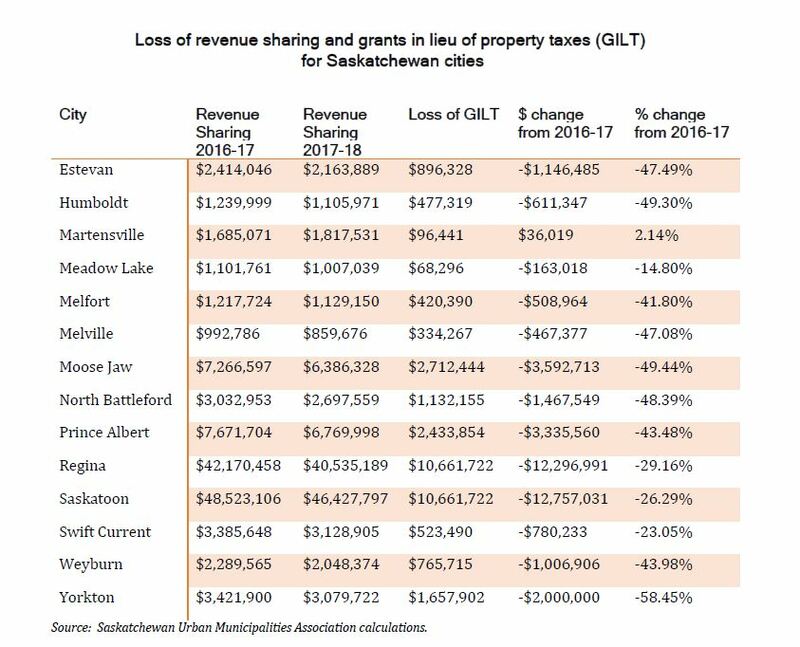 Both cities of Saskatoon and Regina will lose $10.7 million. Mayor Charlie Clark said the amount is equal to what it costs to run all recreation centres in the city, and it would take a 5.7 per cent increase in the city’s property tax to replace this funding. Other cities are losing half of their provincial funding, such as the City of Yorkton which will see a 58 per cent cut in grants. “It is unbelievable that the Minister of Finance would not extend the courtesy of giving notice to our municipalities about the cuts to their funding. The audacity of not consulting shows how out of touch this government is with the people of this province,” said Tom Graham, president of CUPE Saskatchewan and a municipal worker. Municipal governments are the closest level of government to people’s lives. Over 90 per cent of Canadians live in municipalities and depend daily on local services and infrastructure, but local governments only collect eight per cent of Canada’s total tax revenues. The share of infrastructure that municipalities own and must maintain continues to grow, while the federal and provincial contributions continue to decrease. Municipalities are speaking out about the short-sighted budget and looking at their options. “CUPE stands with SUMA and the many, many municipalities that are expressing concerns. The Government of Saskatchewan should do the right thing and immediately restore funding to our municipalities and to all of the other important services cut by this budget,” said Graham. CUPE represents 5,000 municipal workers in 32 communities in the province.